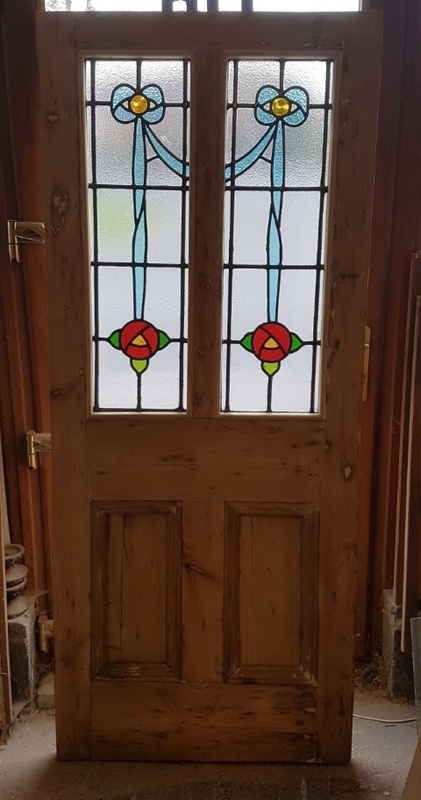 A lovely traditional elegant, solid 1930's front door. Lovely featured glass with hammered textured and a ruby red centre diamond. 2015mm height, 805mm wide, 45mm thick. Sold as is or can be refurbed on request.